In the Kyoto Protocol to the UN Framework Convention on Climate Change, industrialized countries agreed on binding absolute targets for greenhouse gas emissions and on the admission of flexible market-economy instruments - such as emissions trading, joint implementation and the clean development mechanism - used for reaching the targets. 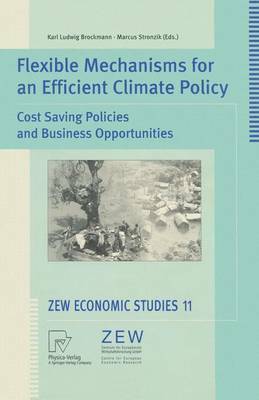 The contributions in this volume reveal that flexible instruments can lower the costs of climate protection considerably - not only in theory, but also in practice. Concerning implementation, it will be necessary to take care of possible loopholes, uncertainties and transaction costs which may be too high if no proper design is chosen.